Volumising lash extensions with adhesive peel-off strip for fast, easy application. 13mm length. 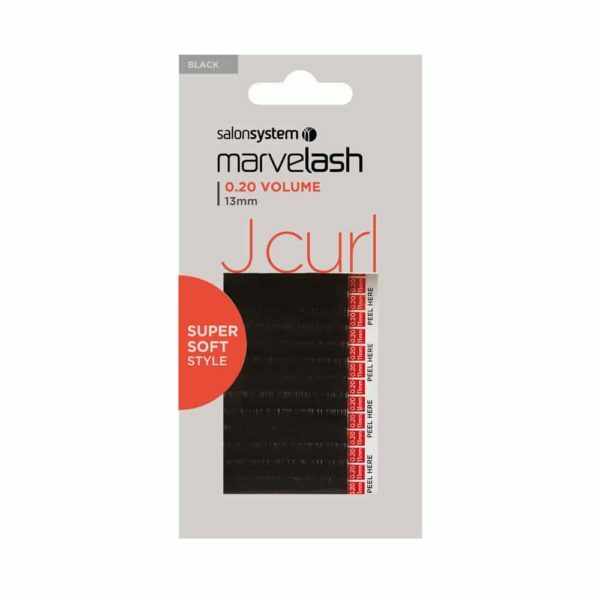 J curl, 0.20 thickness. Black. Synthetic hair.